Follow Jonny on Twitter for the latest football news and views. Lionel Messi is beyond realistic criticism. He’s a great player. Period. He was the first to score 5 in a single Champions League game, breached the Brazil defence for a hat-trick - in Brazil, broke Gerd Muller's 40-year record scoring 91 in a single calendar year and claimed a fourth FIFA ballon d'or in the process. I've had the good fortune of watching him play live. He scored in both games; from the spot in a routine home league win over Almeria and that mesmerising strike thumped into Manchester United's net at Wembley in the Champions League Final. Show me the medals. 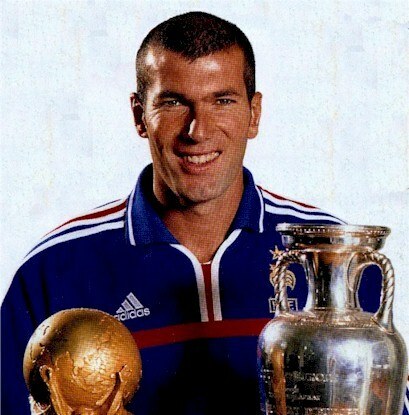 Zizou's got the lot. Messi's magnificent, with speed, strength, intelligence, quick feet, pace and power - but still I remember Zinedine Zidane as the greatest player I've ever seen. Because for all Messi's brilliance and I grant you, he still has most of his career ahead of him, he's got a way to go to match the majesty and drama of football's most decorated Frenchman. I saw Zidane play five games: twice for Real Madrid and three times for his country. In three of those games and without any recourse to superlatives or exaggeration, Zizou produced iconic moments to be remembered for decades as the fans in the stadia held their collective breaths. Not even Giggs could stop it. Take Lisbon's Stadium of Light for starters; England's opening game of EURO 2004. Boosted by 75% of the crowd in the best atmosphere I've yet experienced, England were in control as Lampard's first half header should've sufficed for victory. The crowd had bayed Thierry Henry out of contention and Boy Wonder Rooney was up for it. Then he got subbed and the energy changed in the cauldron. Step upto the plate, Zinedine Zidane who's superficial calm masked a volcanic temperament. He flashed the ball into the net from a brilliant free-kick, then struck a penalty to turn the game on its head in injury time. I watched the silvery ball's trajectory flash into the net - trouble was, so did hapless David James. Then there's That Hampden Strike. Roberto Carlos hooked the ball high into the sky in a final attempt to keep possession amid a high challenge from a Bayer defender. Watching it speed downwards like a squash player ready with his racket, Zizou struck it left footed with expert precision, curling, speeding into the top corner. Keeper no chance. It'll never be forgotten. Then there's the World Cup Final in Berlin. What he did as the curtain fell on his brilliant career is viewed as such a stain. But there was more to his performance in that 90 minutes than that. His nonchalant penalty with almost demob happy laissez-faire, struck the crossbar and over the line to give France the lead. Let's not forget, he joined Sir Geoff Hurst in scoring three goals in the World Cup Final. No one could predict what happened later - and when it did, most in the Olympic Stadium wouldn't see it. Startling. Off the ball. An exchange of words. In cricket, sledging. The headbutt into the chest of Marco Materazzi. I admit the first I saw of it was when Italy keeper Gigi Buffon remonstrated with the French strikers near to him seconds later. 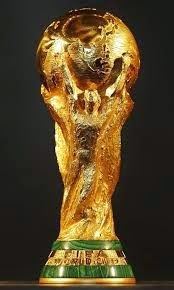 As he traipsed off, round shouldered down into the dressing rooms sweeping past the Trophy, with it France's edge in the impending penalty shootout was lost too. Shameful end; but not altogether incongruous with his whole career. And still, it makes not a jot to how I perceive him. In fact, it adds dimension and context to his greatest moments. And while Messi's brilliance lights up a match in milliseconds, Zidane's range of personalities makes him modern football's greatest. My best since Maradona. Messi is a product of a generation of team players. The best of the bunch for sure. So would I change my view? Not now. Messi couldn't produce a World Cup like Maradona's blistering one-man show in 1986 (and to a lesser extent in 1990), couldn't marry it with his stratospheric club career. He's not surpassed Zidane or Maradona. But Zidane the loner, Zidane the volcano, Zidane, decorated from top to bottom for both club and country trumps the Argentine for greatness - so far. Click here for the current Top Story Soccermongery's all about your feedback, so write away, right away! If you like your team to compete but ultimately lose "Eddie Edwards-style", England will fit you like a Cup Final suit. We've never quite shaken off that "it's the taking part that counts" hint of amateurism that enabled us to export our Beautiful Game to the world. "We have Barkley, Sturridge, Sterling, Henderson and the Ox for the future", they say. Fearless, talented and if not millionaires already, the Premier League will take care of that within months. England's future looked bright with Gazza too as we watched the semifinal defeat to Germany at Italia 90. Remember that? It was the last time Daft-As-A-Brush shone on the world stage. As for the Liverpool players, let's see how good they are competing in the Champions League. They're our England backbone because Fergie retired and Manchester United's youngsters lost their father figure at the same time as Rodgers created his. I'm too long in the tooth to worry about England's inevitable defeats. We've sacrificed our national team in favour of the Premier League for two decades, so enjoy your club, whatever its division. And support England with the same approach English football treats it - as a bit of summer fun. For all the attention foisted on Roy's boys, club football is the focus in England for the foreseeable future.